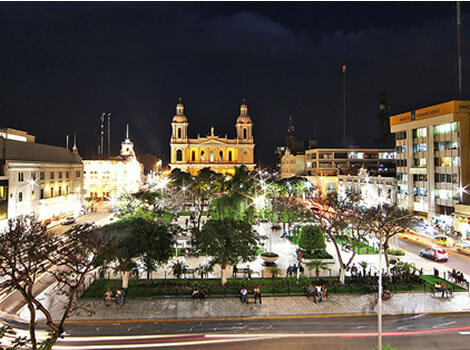 Arrive in Chiclayo and transfer to your hotel. Around 9:00 am you travel from your hotel to Huaca Rajada, this is the original tomb from the important Moche King, the Lord of SipÃ¡n. In 1987 part of this tomb was found coincidently by tomb raiders who started looting the site. When the authorityâ€™s found out they managed to get several artifacts back and started to explore the site with professional archeologists. The archeologists discovered even more undamaged tombs under the first one and mummies surrounded with many well-crafted ceramic, bronze, textile, silver and golden objects. Finding the tomb of the Lord of SipÃ¡n is considered to be the most important archeological discovery from the North of Peru and because of its importance the authorities constructed the unique museum Tumbas Reales. This museum is built in the shape of the original tomb of the Lord of SipÃ¡n and exhibits most of the impressive findings, including very well crafted ceramics, textiles, bronze, silver and golden objects. 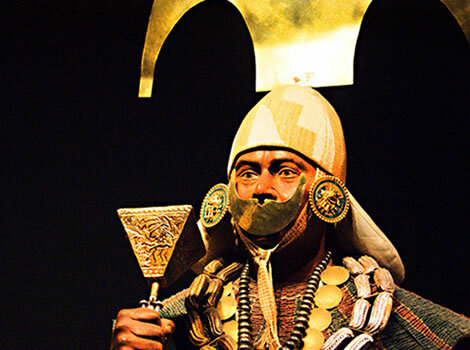 The presence of many original artifact and the impressive way they are presented to the public, make form Tumbas Reales one of the best museums of Peru. Around 14:30 h, there is time for an optional late lunch in Lambayeque. In the afternoon you are have free time. 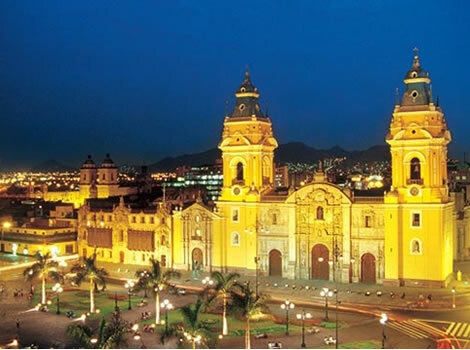 At 8:30 am you will be picked up from your hotel visit the museum of SicÃ¡n. This museum is located just outside of Chiclayo and shows a great collection with (golden) objects found in Bosque Pomac. Some of these golden objects belong to the most beautiful ever found in the province of Lambayeque, or maybe even in the whole of Peru. From SicÃ¡n you visit Bosque de Pomac (also called Batan Grande), where they have discovered different tombs from the SicÃ¡n culture (800 â€“ 1300 AC). In 1992 an archeological team discovered a tomb of an elite member of SicÃ¡n society. From this tomb, some 1.2 tons of precious metals â€“ mostly jewelry and religious artifacts â€“ were removed and brought to the museum of Sican. 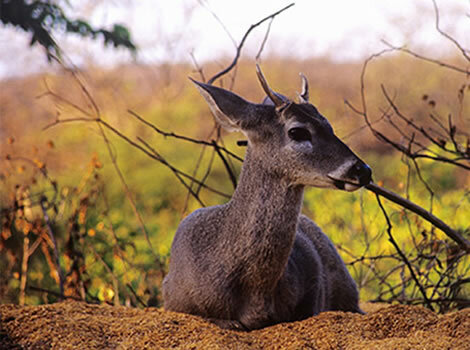 During a short guided hike through the forest of Bosque de Pomac, you will learn more about its history, the different tombs (including Huaca Las Ventanas), the flora, fauna and the different bird species endemic to this area. You will also visit â€œEl Arbol Milaroâ€, a huge carob tree of more than 500 years old. According to the indigenous people this tree has performed several miracles. From the carob tree you will visit El Mirado (The Viewpoint), with a panoramic view over the surroundings over the forest and its tombs. Your last visit of today is to the pyramids/ tombs of Tucume, located on the other side of Chiclayo, 30 km from the center. 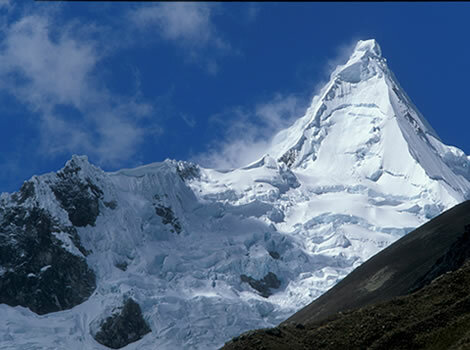 Due to its size, Tucume is one of the main pre-Inca complexes in Peru. The archeological site contains around 26 tombs, ceremonial buildings and pyramids, all made of adobe. The highest structure is 35 meter. 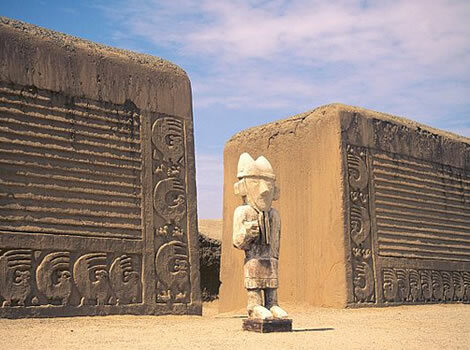 Itâ€™s believed that the site has been inhabited between 800-1350, 1350-1450 and 1450-1532 A.C. by different cultures, including the Lambayeque, ChimÃº and even Incaâ€™s. Around 18:00 h your will be back in your hotel. MonsefÃº is a good place to buy souvenirs, made by the local craftsmen. Most souvenirs are made from reed, but they also sell things like traditional blankets and ponchoâ€™s. The last destination of today is the Bruning Museum. This museum includes a very complete collection about the history of the surroundings of Lambayeque. 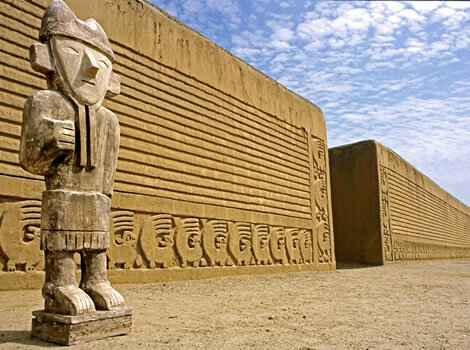 You can admire detailed textile and ceramics from the Chimu and Vicus culture, ceramics + golden objects and jewelry from the Mochica, and Chimu culture and several other objects from the Lambayeque, Moche and even from the Chavin and Inca culture.